We also find it a bit odd that the most christian of the christians of the Republican candidates are saying that only christian refugees should be allowed into the country. Hmmmm…what would Capitalist Jesus have to say about that? 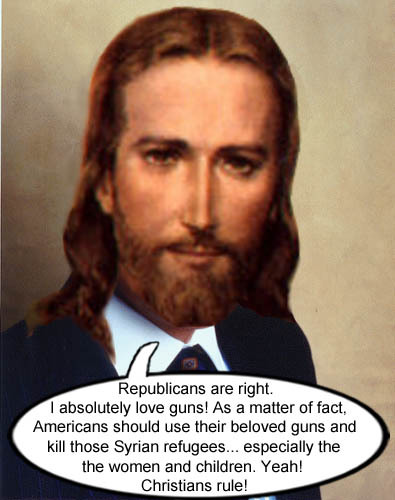 Capitalist Jesus, who is also very Republican, confesses his love for guns and suggests a use for them to his gun loving Christian followers.